Under the 2015 Paris Climate Agreement, the world’s nations agreed to keep global temperature rises to within 2 degrees above pre-industrial levels. One degree of that rise has already occurred. However, in the recent COP23 meeting held in Bonn, Germany, we are still heading towards 3 degrees rise and possibly more. However, decisions on how to tackle the effects of climate change need to be based on sound science and rational judgment. They will also need to be made through the coming years – so it is the younger generation, currently in schools and learning about science – who will need to make those decisions. The Paris Climate Agreement (UN, 2015) recognises this by stating that “Parties should take measures ... to enhance climate change education” (Paris Agreement, Art.12). Unfortunately, in many countries, science education is often poor and does not develop the rational thinking or provide the inter-disciplinary study required to learn about climate change. IAP and its member academies have a long track record in improving science education in many countries through the promotion of inquiry-based science education (IBSE), whereby children learn teamwork and rational thinking through the scientific process of developing hypotheses, designing and carrying out experiments to test them and evaluating their results to develop conclusions. However, currently even the best science education tends to be taught in traditional silos – biology, chemistry, physics, etc., whereas climate change education requires a more inter-disciplinary approach. 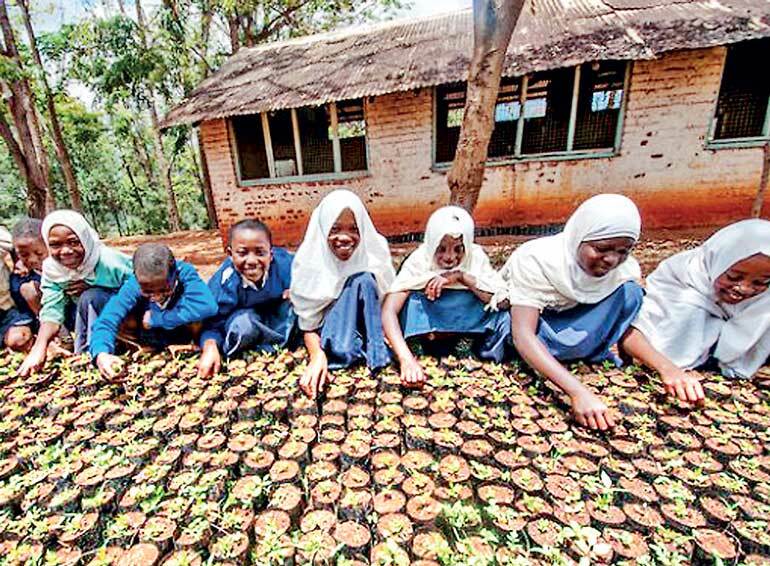 The IAP ‘Statement on Climate Change and Education’ recognises this and to start the process of revitalising education, lays out a series of recommendations on how effective climate change education can be promoted in schools around the world. Among the specific recommendations of the statement are: the wider uptake of IBSE in schools around the world, the need to provide teachers with adequate training and resources and that the periodic Intergovernmental Panel on Climate Change (IPCC) ‘Assessment Reports’ and accompanying ‘Summaries for Policy Makers’ can be used as the basis for producing ‘Resources and Tools for Teachers’. “We believe that climate change is a real threat to humanity but also could be a formidable opportunity for all of us to modify the current unsustainable way of living, as recently outlined by more than 15,000 scientists in their call to humanity. During major civilization changes, education has played a capital role to prepare the youth and convey the new ideas. Our goal in releasing this statement is to contribute to this process,” says Académie des sciences, France Pierre Léna, who chaired the working group that produced the IAP Statement. We hear everywhere pessimistic statements about the future of our planet but engaging the young generation in this issue and empowering students as ‘agents of change’ will bring hope and optimism. The IAP for Science ‘Statement on Climate Change and Education’ was released on 12 December in Paris, France at the One Planet Summit, held under the auspices of the President of France, Emmanuel Macron and it is hoped that it will reach the eyes and ears of governments and decision-makers worldwide and convince them that they need to take both individual and collective action on this existential issue. The preparation of this IAP Statement is led by one of its member academies Académie des sciences, France with the support of a working group of experts nominated by IAP member academies. Prof. WL Sumathipala represented the National Academy of Sciences of Sri Lanka in the working group of experts. The statement is released only when it has been approved by the IAP for Science Executive Committee and more than half of IAP members have endorsed its contents. Thus, the contents of this IAP Statement is supported by the credibility and independence of the majority of the world’s academies of science.